5. 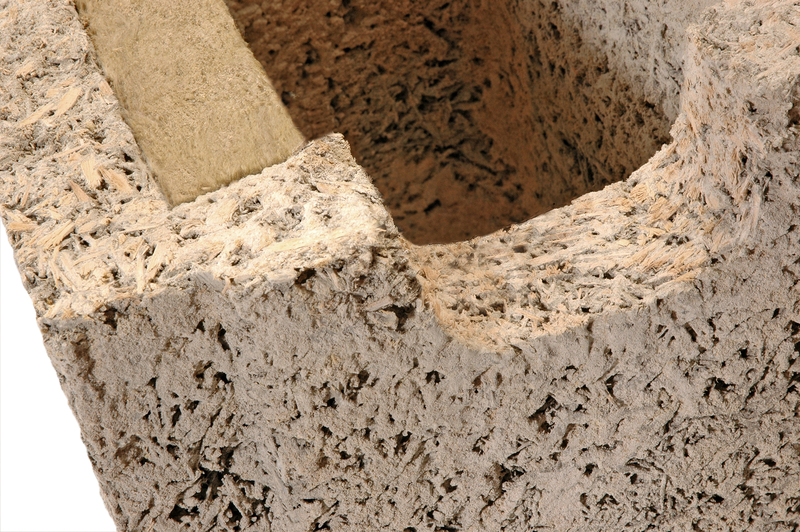 What is the R-value of our Insulated Concrete Forms? Our typical units range in R-value, between R-8 and R-28. The Nexcem material has an R-value of 1.75 per inch. This means that all Wall Forms regardless of thickness have a basic R-value of R-8.2. We increase the R-value of the 10″, 12″ and 14″ units by incorporating additional insulation inserts into the Wall Form at the time of manufacture. The inserts are made from mineral fiber insulation (Rockwool) and are also completely fire-resistant and made from recycled content. The inserts are placed inside the Wall Form cavity but positioned towards the exterior to maximize the Thermal Mass effects of the wall system. We can incorporate non-standard insulation (ex. poly-isocyanurate) in our units for custom orders to achieve up to R-40. The Wall System Summary and the Technical Guide provide the steady-state two dimensional R-values for our wall systems. The Thermal Performance document provides information on thermal mass and dynamic effects.